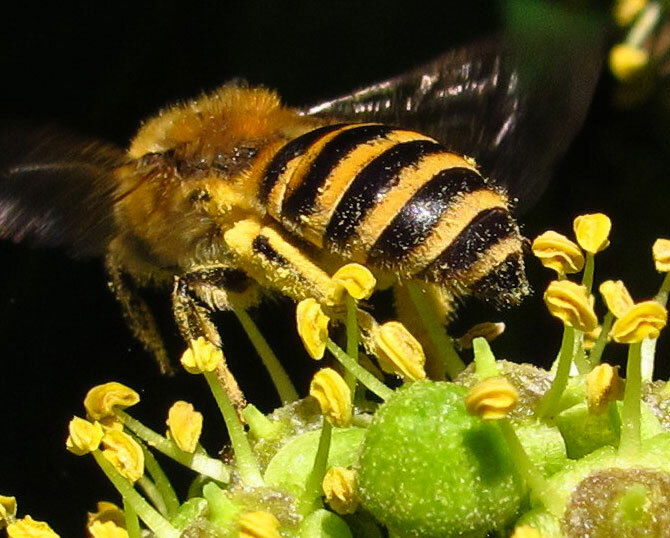 On the eastern side of the country, Colletes hederae has now been sighted in north Norfolk, even further north than the Shrewsbury sighting below. Latest map here. This is an update to an existing news item. 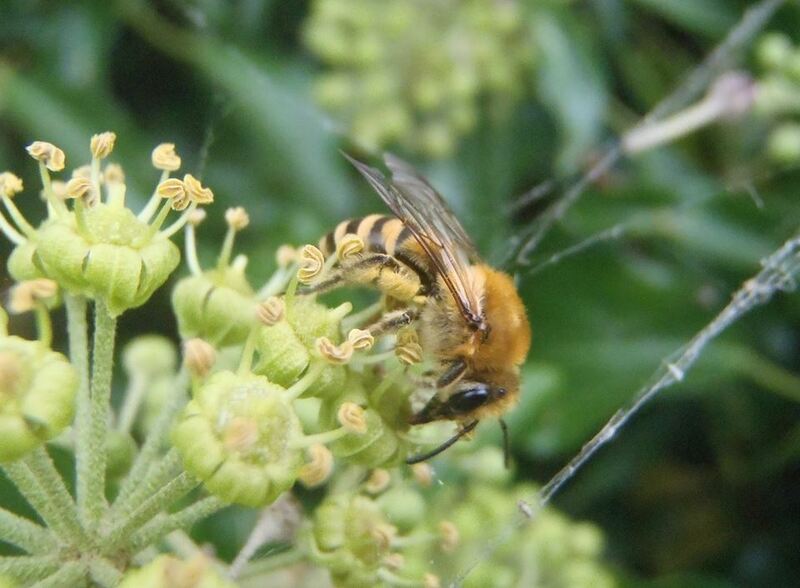 Several Colletes hederae have been found foraging at ivy in the centre of Shrewsbury. This is a further 20 miles north of the sightings reported below. Clearly, C. hederae is making a major advance north, so do investigate ivy where ever you are! Another south Staffordshire record from Seisdon, making four locations in the south Staffordshire - north Worcestershire area. Brett Westwood reports finding C. hederae in north Worcestershire, near Wolverley. Breaking news from south Staffordshire, where BWARS members Andy Jukes and Bex Cartwright have photographed specimens at ivy. This followed a provisional sighting by Brett Westwood earlier in the week. This represents an enormous advance northwards for C. hederae. The previous most northerly records are from Cheltenham, some 36 miles or so distant. It will be well worth while looking for this bee anywhere in Worcestershire, north Gloucestershire, Warwickshire and other neighbouring counties to Staffordshire. Female C. hederae in Shrewsbury.